Simo Rantalainen, a well known and controversial journalist, TV host, boxing promoter and a lot more in Finland, have written a book about Tarmo Uusivirta. Uusivirta is one of the best fighters ever to come out of Finland. As an amateur he won silver in the World championships 79 and 82 and won the European championships in 1979. As a pro he went 24-4-3 in a disappointing career that left Uusivirta a bitter man. He fought many tough fights in his opponents backyards but never got the big breaks nor promotional backing needed to make it to the top. Tarmo Uusivirta also developed big problems with alcohol and after losing his job after getting caught drunkdriving he committed suicide in 1999. The next Danish Fight Night on Saturday (February 11) in Copenhagen will go ahead without TV backing it up after promoters Brian Nielsen and Mogens Palle failed to reach a deal with network TV 2 Denmark that have aired the previous seven DFN shows. The show is headlined by a supermiddle clash between Daniel Heinze (6-0) and Derrick Findley (25-21-1) and cruisers Jeppe Morell (6-0) vs Bernard Donfack (23-14-1). Hungarian Felix-Promotion stage its first show of the new year February 17 In Papa with WBO European superfeather champion Zoltan Kovacs (18-5-1) defending the title against Italian Nicola Cipolletta (13-4-1). Cruiserweight Imre Szello (15-0) appears in the co-feature against Latvian Ricards Bolotniks (10-3-1) who comes in fresh of a knockout win over Spanish champ Cesar Cordoba. 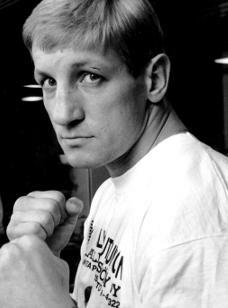 If all goes well for Szello he will defend the WBO I/C title in April. Middleweight Norbert Harcsa (7-0) and superwelter Balasz Torteli (10-1) have spots on the undercard on this event that is already sold out. Maki Boxing, headed by promoter Pekka Maki, won purse bids today in Rome for the right to stage Juho Haapoja vs Leonardo Damian Bruzzese for the vacant EU cruiserweight title. Maki bid 40 123 Euro, Paimander Sports Consulting (also from Finland and headed by Petri Paimander) offered 34 345 Euro while Italian OPI since 82 came in third with an offer for 31 317 Euro. Maki Boxing will stage the fight in March or April. A voluntary defence by EBU lightweight champion Edis Tatli is also in the works and word have leaked out that Maki is in talks with heavyweight Robert Helenius as well - if all pieces comes together will be known in a few weeks.